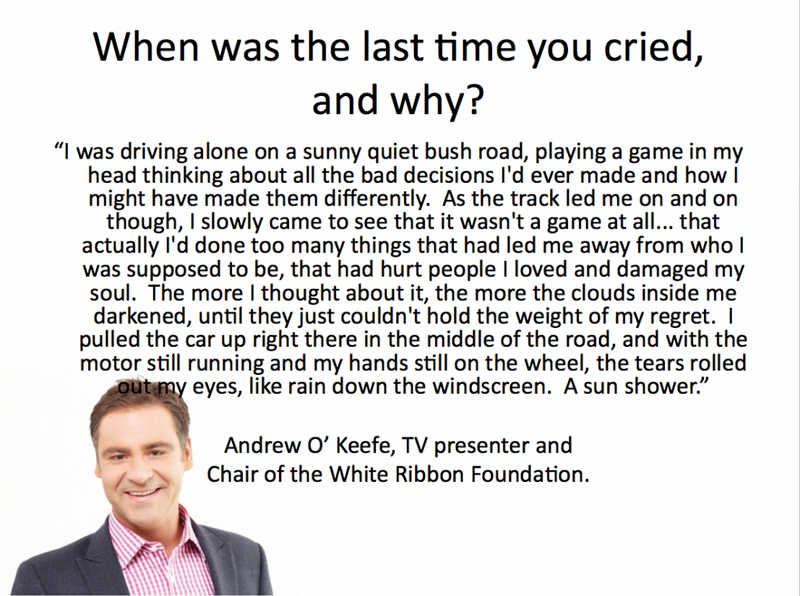 The following guest post is shared with permission from the author, the wonderful Matt Glover from MGA Counselling Services. 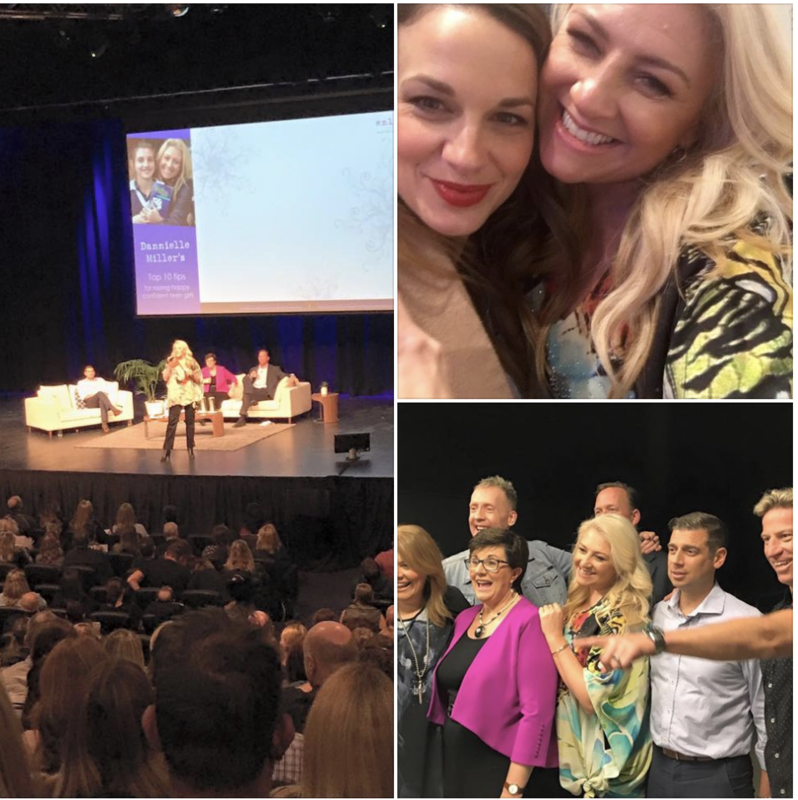 Matt wrote this following a discussion I had with him and two other professionals I admire, Sarah McMahon from BodyMatters and Jacqui Manning, The Friendly Psychologist. Sarah has also put together an excellent resource on how to select a therapist for eating disorders which may be viewed here. 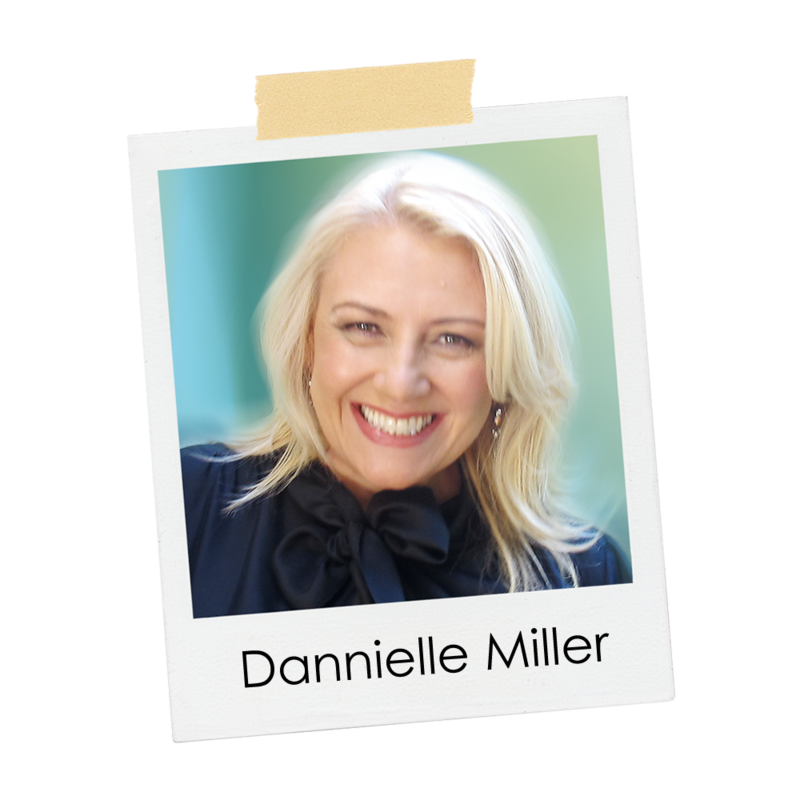 Recently I was having a discussion with Dannielle Miller from Enlighten Education about what to look for when choosing a counsellor or psychologist. In Australia, we still live in a culture that places some stigma on seeing a mental health professional, and so we are hesitant to ‘ask around’ like we do when looking for a plumber or dentist. If you’re wrestling with a mental health issues, a relationship problem, a personal issue, or just feel plain stuck, make sure you check the following before booking a session with a counsellor or psychologist. 1. Check the qualifications. While Psychology and Social Work are regulated industries, Counselling is not. Anybody can set themselves up as a counsellor and charge a premium without even a single hour of training. Online certificates and diploma’s abound in counselling, but these are little better than nothing at all. Many of them do not require any sort of supervised placement and barely scratch the surface of best practice when it comes to the different models of therapy. For counsellors, I would suggest sticking with those that have a Bachelor degree or above, from a reputable university. When you ring to make a booking, ask where the therapist did their training. 2. Check the accreditation. Make sure the counsellor you see is accredited at more than student level with one of the professional bodies. The professional bodies maintain a code of ethics for the industry and ensure that individual therapists are engaged in ongoing professional development and supervision. As a counsellor, I’m accredited through the Australian Counselling Association, but there are equivalent associations for Psychologists and Social Workers. 3. Check the experience. Regardless of your heart for helping people, it takes a while to become really proficient in the helping industries. I say to aspiring counsellors to try and get work with a larger agency before thinking about private work or opening your own practice. I worked for 14 years for other organisations before opening MGA. When you ring a therapist, ask them how long they’ve been practicing. If they say “two weeks”, wish them well for their career, hang up, and call the next person on your list. 4. Check the specialty. Most of us have a field that we specialize in, based on our own interests and history. In my practice, we focus on sexuality, spirituality, and mental health, with individual therapists at MGA having more focused areas like relationships, eating disorders and the like. If you’re after some help with depression, for instance, make sure your therapist has experience working in that area. Associated with this point is the model of therapy. There’s lots of different ‘therapies’ – some will suit you and others won’t. CBT has been popular in the past but seems to be going out of fashion in recent years. Gestalt is still popular, as is person centered therapy. Acceptance and Commitment Therapy (ACT) is the model we use at MGA, but each client is treated according to their needs, not pushed through a conveyor belt. 5. 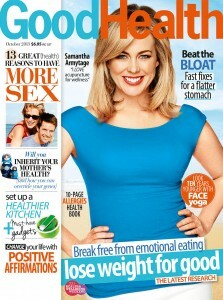 Check the “fit.” If you find you don’t really click with your therapist, find somebody else. I don’t have any research to back this up at all, but my feeling is that at least 50% of a good outcome in counselling depends on how well you get along with your counsellor. If you have a counsellor that is rude, irritating, talks about themselves all the time, seems uninterested, hurries you along, doesn’t listen or even smells funny, then you won’t get the most out of your time together. You may even miss some important, helpful suggestions because you really just don’t like them very much. Sometimes a good outcome does take time, but you want to take that journey with somebody who you connect with well. 6. Check the reputation. This is a little harder to do, but ask around to see what sort of reputation a therapist has. Personal recommendations are not a rock solid guarantee (you have to get along well with them remember) but it’s nice to know that there is some good reports about the person you are seeing. 7. Check the responsibility. By this I mean, check that you have responsibility for where the sessions go and what it is you cover. I do a lot of work with the transgender community and I’ve lost count how many times clients say to me that their previous counsellor talked about nothing but their gender transition, despite the client wanting to see them for an entirely different reason. 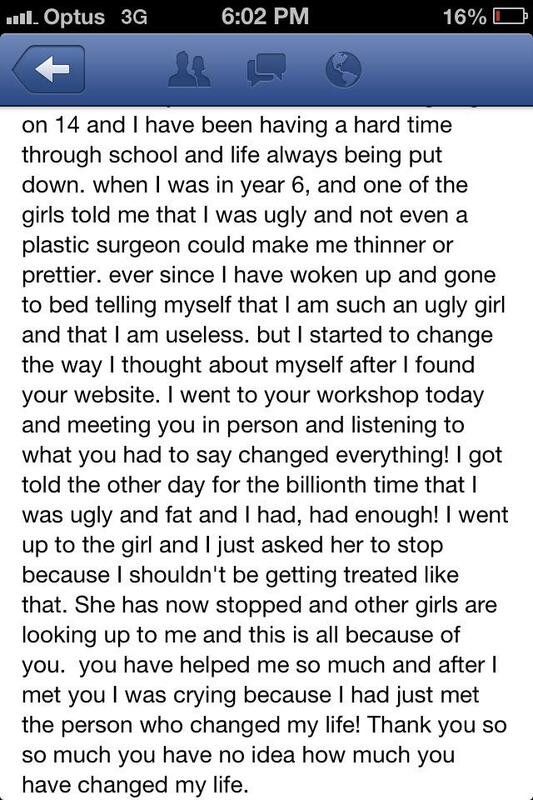 (Eg, bullying at work) In sessions, make sure you talk about what YOU want to talk about. As things unfold, you may uncover other things that you need to work on – a skilled therapist will help you do this. But if your counsellor insists on making you talk about things that seem irrelevant and they won’t give you a reason why, think about whether you should continue with them. 8. Check the practical stuff. Ask how long the sessions are, what the fees are, whether it has disability access, whether it is close to public transport, is there parking available, what are the opening hours and so on. Whatever practical things are important to you, ask about them. Also check to see if your therapist has any long holidays planned – sometimes a break in momentum can set you back, so if they’re going to be away for six months, ask for somebody else. 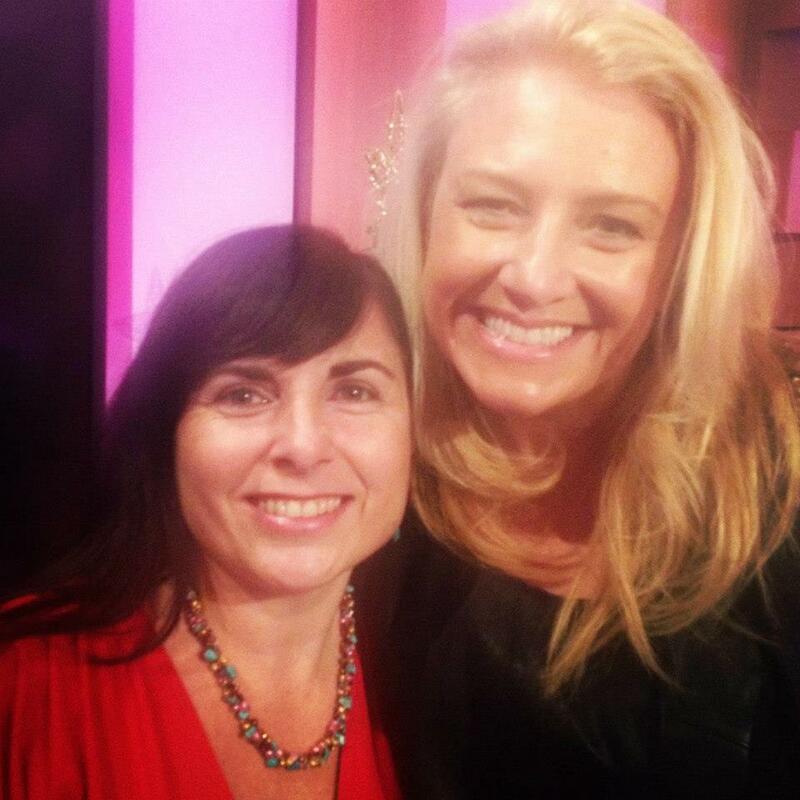 The lovely Jacqui and I on the set of channel 9’s Mornings show. As you think, so you are. As you imagine, so you become. 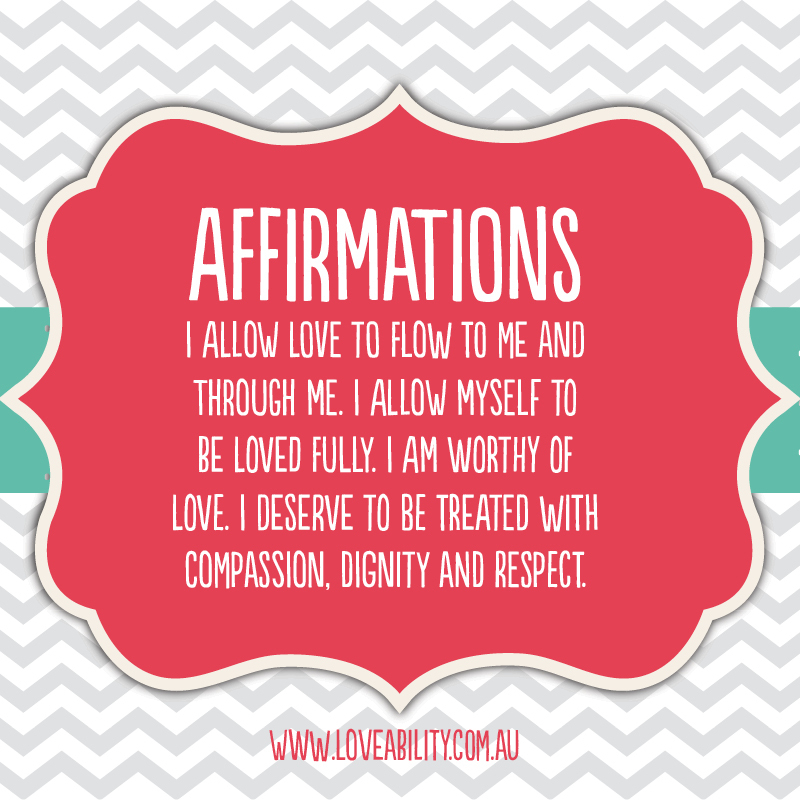 Affirmation Cards are one of the tools we at Enlighten give girls; these support them in maintaining the positive approaches we introduce them to during our workshops. 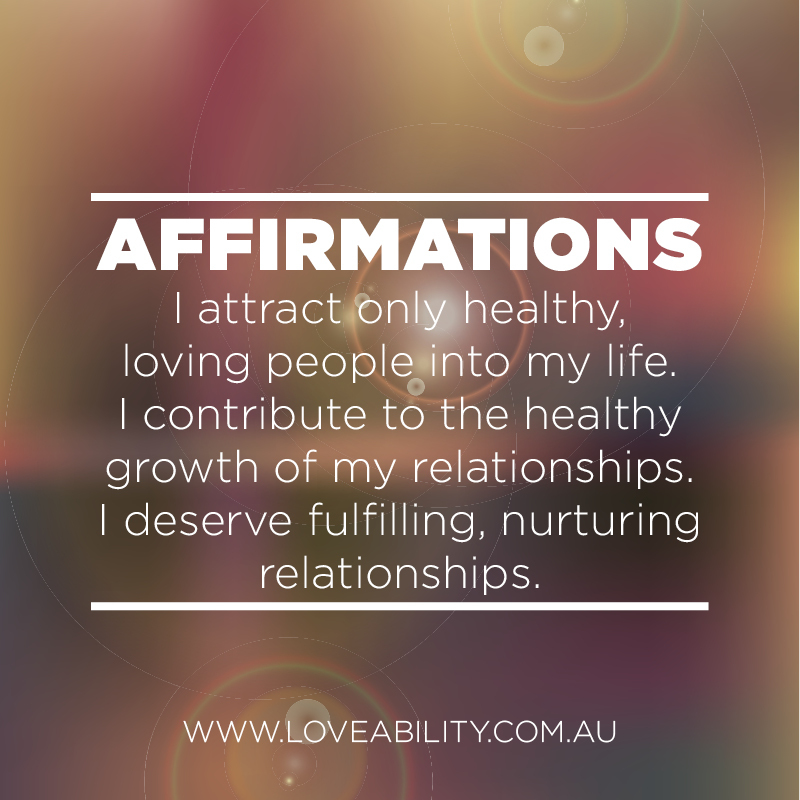 Affirmations are short, positive statements that can used to boost strength or chart a new course in our lives. They also have profound effects on mental health and the development of resilience as they train us to focus on the positives rather than obsess over the negatives. 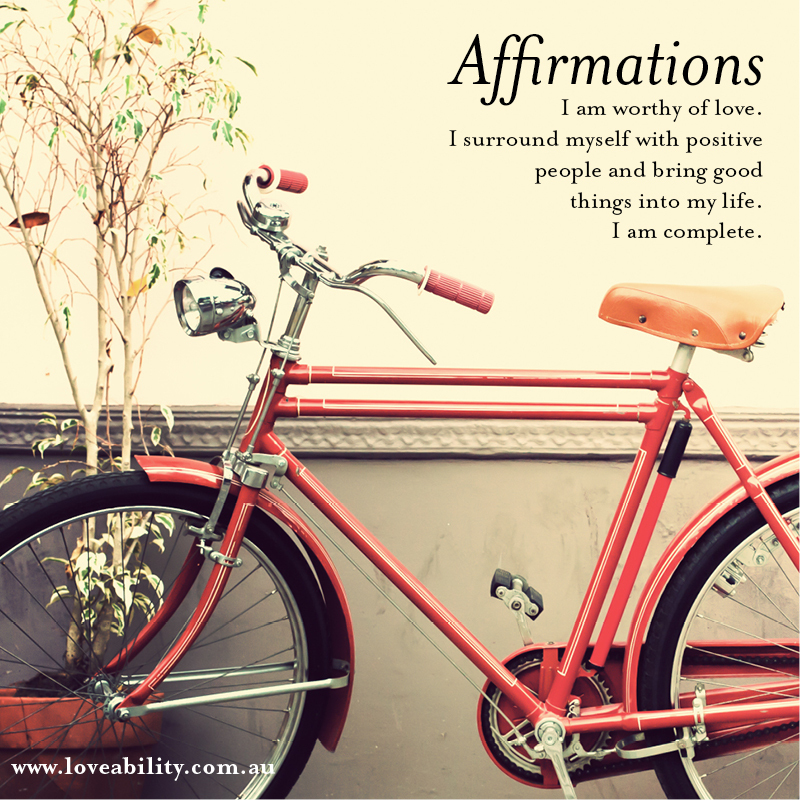 Some people find it helpful to repeat an affirmation when they wake each morning, others when the going gets tough. Some like to write affirmations down and pin them up around the house. The key is focus and repetition. Most of us would agree that if you constantly use negative self-talk ( “I am so fat and ugly, no one will love me”) this has a negative impact on us. In fact, such dark thoughts can trigger devastating physical effects. We need to understand too then that focused, purposeful positive thoughts can have a similarly profound, healing impact on us. 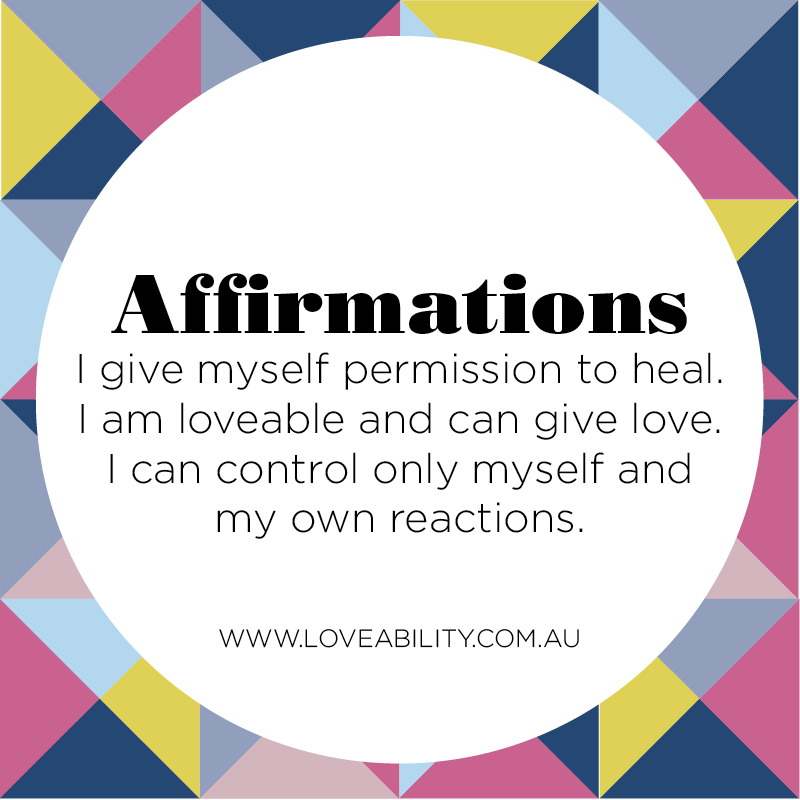 This explain why the use of positive affirmations is also used frequently in therapy for mental illnesses such us depression and anxiety. 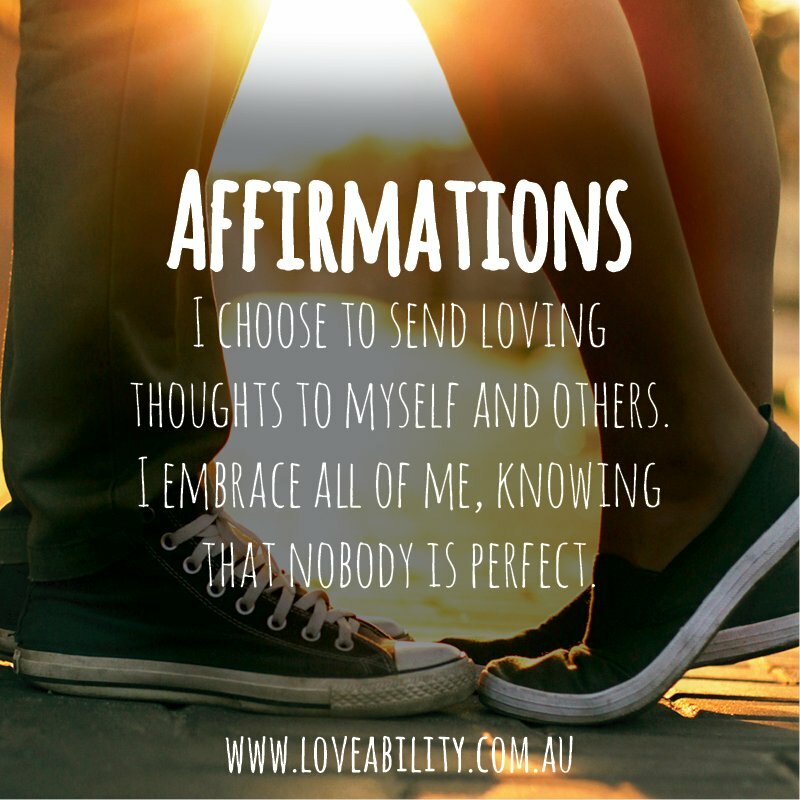 Recently on Facebook I shared affirmations designed to support girls to form, and maintain, positive, nurturing relationships. 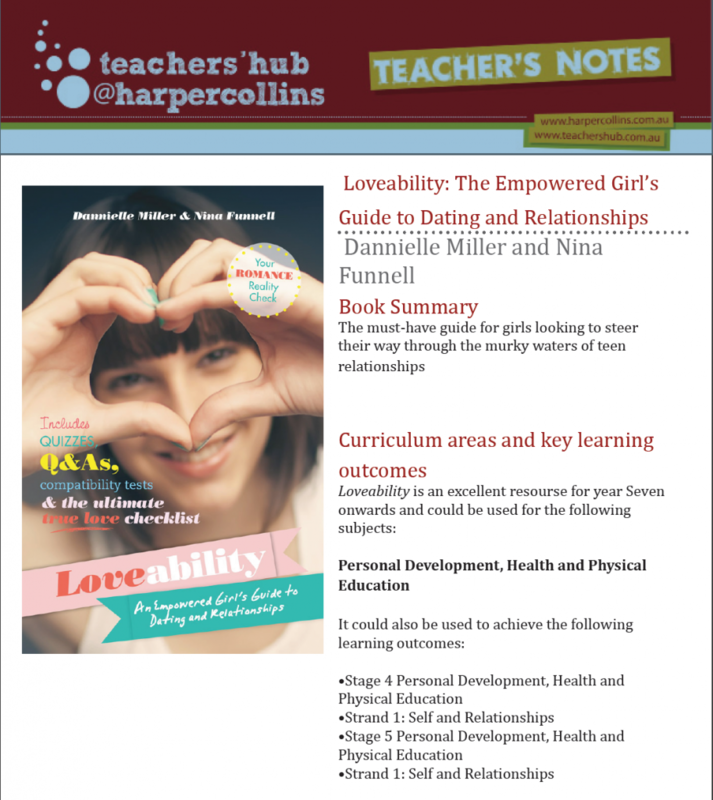 These were taken from Loveability – An Empowered Girl’s Guide to Dating and Relationships. Perhaps you might wish to share some of these with the girls in your life too. Feel free to copy, share, print, download. 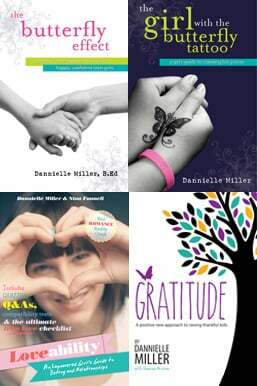 You might also like to download “The Butterfly Effect”, a free iPhone App I designed which provides girls with daily affirmations, quotes from inspiring women, and links to key web sites that support girls and women. Affirmations are also being widely used in a number of new Apps aimed at treating mental health issues. You may read more about this trend here. Extract from original flyer, 2004. 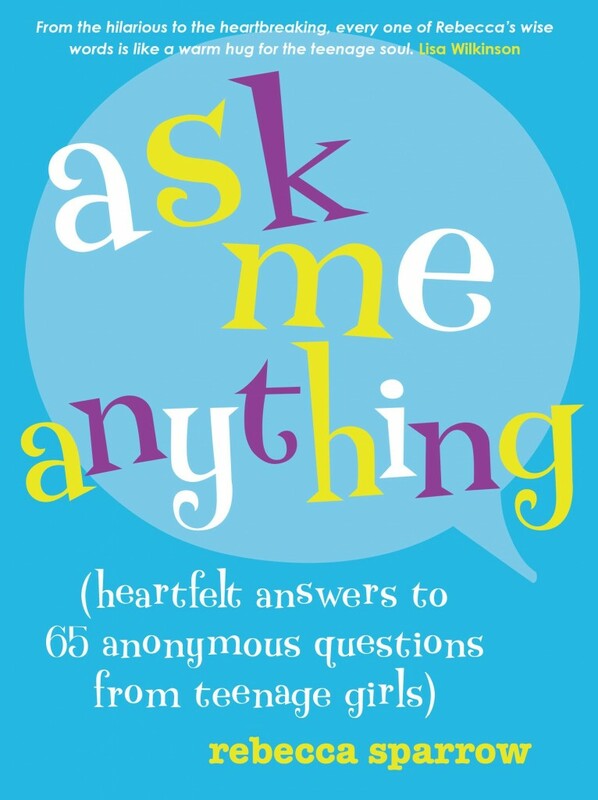 Although Fran and I were happy with the outcomes from this pilot program, at the time we both felt that our energies needed to be channelled into the urgent business of working with young women and also felt apprehensive about leading boys into an exploration of manhood. Surely this was mens’ business? Fast forward 8 years and my own son, Kye, is now 11. As my career began in the classroom, and I spent 8 years working as both an English teacher and a students at risk co-ordinator, I have witnessed first-hand just how challenging adolescence is for many young men. The pressures placed on boys to conform to unrealistic stereotypes and to fit narrow definitions of masculinity now, more than ever, seem particularly urgent for me to help address. Whilst my son begins to prepare for High School next year, I too again feel the need to offer education that will help make the transition from boyhood to manhood more joyful and equip him, and all boys, with skills to make sense of a world that is not always kind to either gender. Increasingly too schools have been asking me to work with their young men and share many of the messages I give to girls with their boys. Sydney’s Cranbrook School recently asked me to work with their middle school boys on developing conflict resolution skills, and on how they could best develop positive friendships. 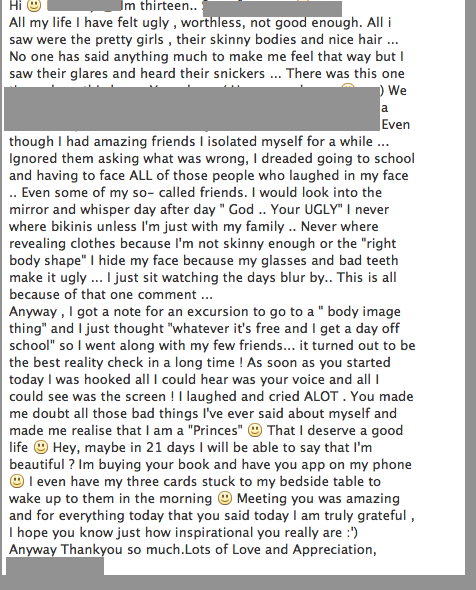 I thoroughly enjoyed this experience and left feeling that I had indeed helped to make a difference. So I recently approached colleague Nina Funnell to collaborate with me on designing a new workshop aimed at raising boys up. 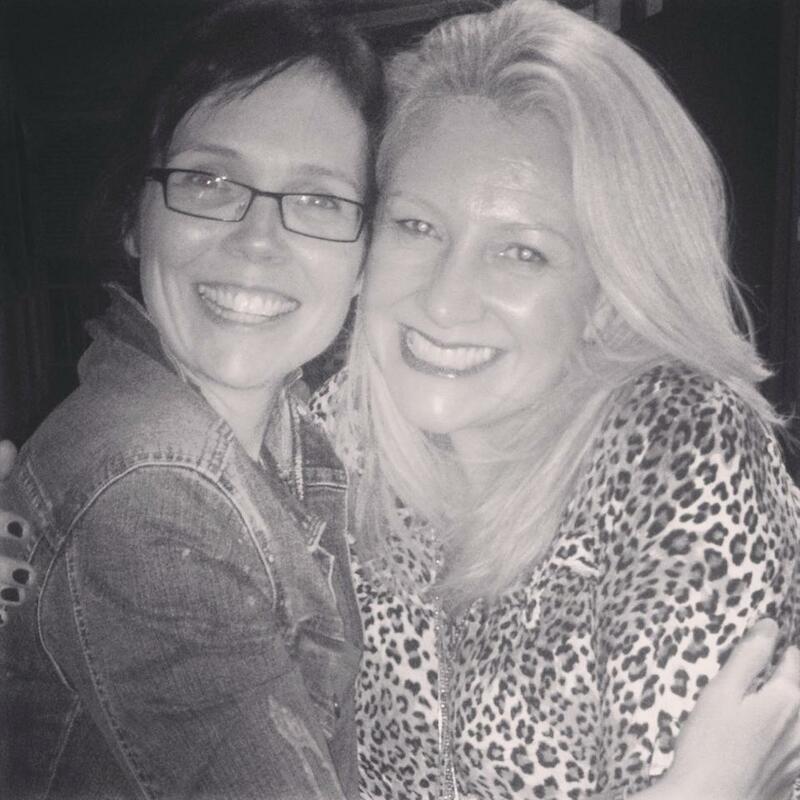 Nina is a writer, social commentator and an anti-violence advocate- she and I recently finished a book for girls on respectful relationships which will be published by Harper Collins in 2014. Slide from “Busting Myths About Boys & Men” – we have been touched by the willingness of prominent men to provide us with their insights to include. 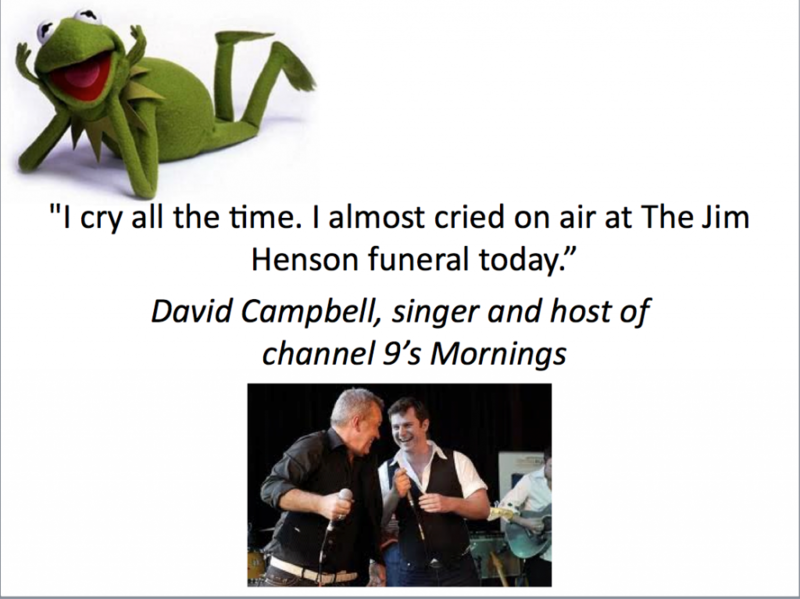 Apart from presenting boys with insights from prominent male celebrities, the boys’ own male teachers are encouraged to share their stories too. Perhaps the thing that moved me the most though was not so much the boys’ words, but rather their actions. Many lined up to give me a hug good-bye. Or to shake my hand. Or simply to give me a “High-5”. 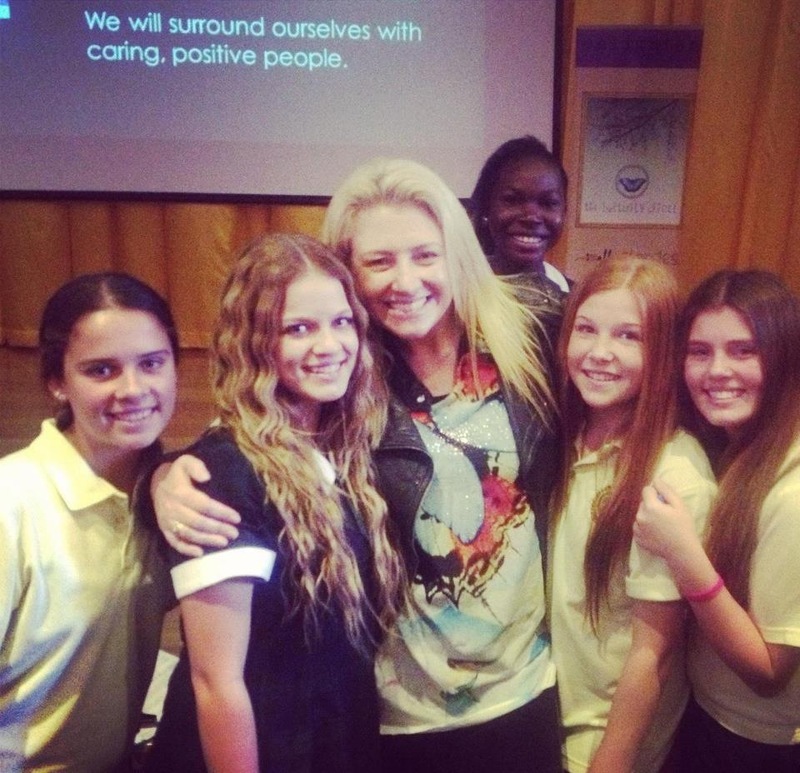 I found myself quite overwhelmed by the enthusiastic way in which they embraced these messages, I even had boys running up to me in the playground throughout the course of the week to thank me yet again. Working with young women will always be a priority. Yet I cannot help but feel excited about the impact this work may have on young men too – and of course on the women in their lives who will be positively impacted by the changes we are helping to create. To enquire about having me work with the boys at your school email: dannimiller@me.com. Please note, this work is run independently and is not part of Enlighten Education’s programs.